*** On Sale. Original $29.99. 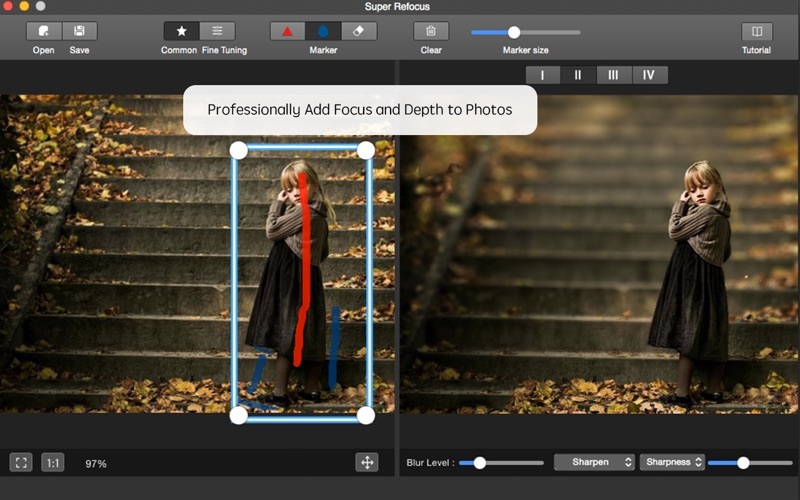 *** Don't forget to download "Super PhotoCut" - A great photo background eraser. 50% OFF! 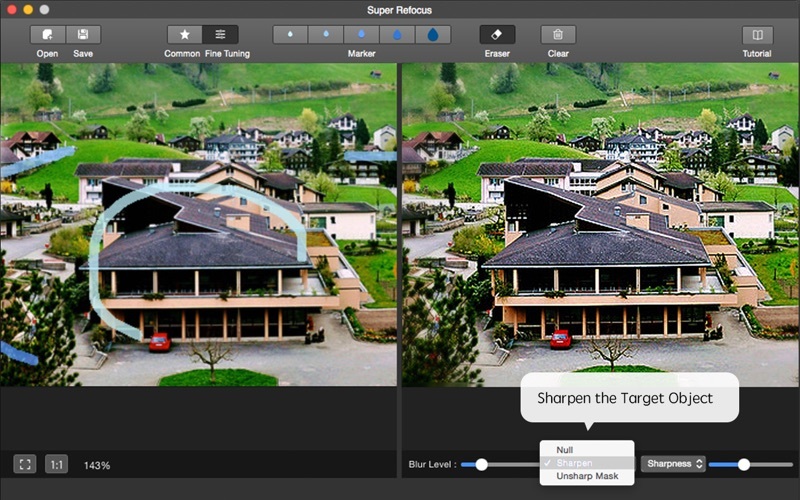 Post-processing software is not required nor are advanced image processing skills. You don't have to be a professional photographer to become addicted to camera lenses. After Focus is among the best in its class. By simply applying a blurred background and decreasing the depth of field, a sense of depth is created to draw attention to the most important objects of an image. You are welcome to click on the "Support link" to take a look at After Focus video reviews. 1 Automatically determine the target prospects based on the target box with state-of-the-art image segmentation algorithm. 3 Adjust the scope of the focus area and the background with drawing stroke. 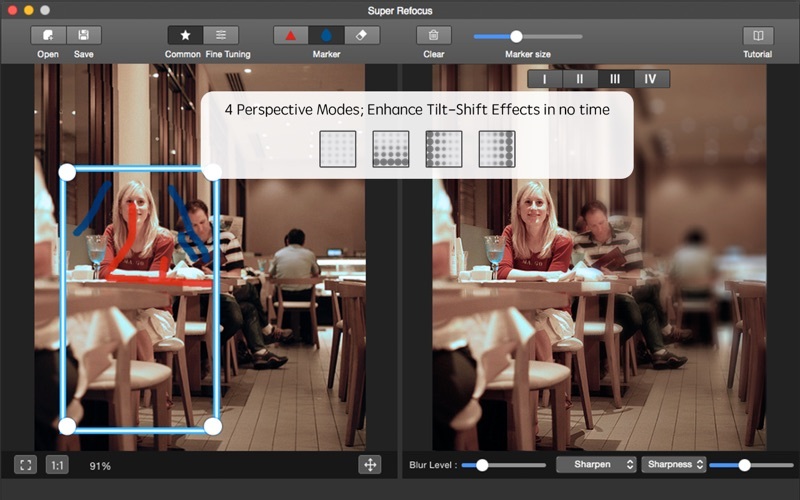 4 Four Perspective Modes offer different types of natural blurring effect for the background. 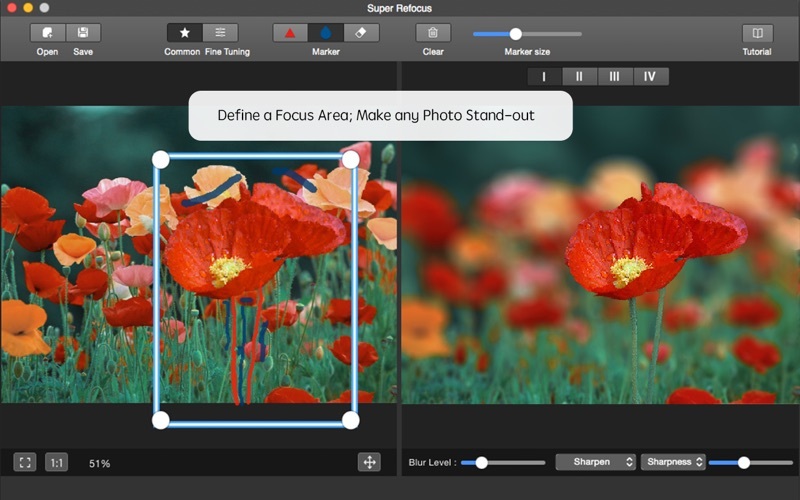 5 Determine the blur gradient for any area with customized mode. 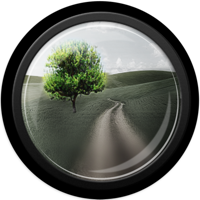 6 Complete professional image editing with the advanced focus algorithm. 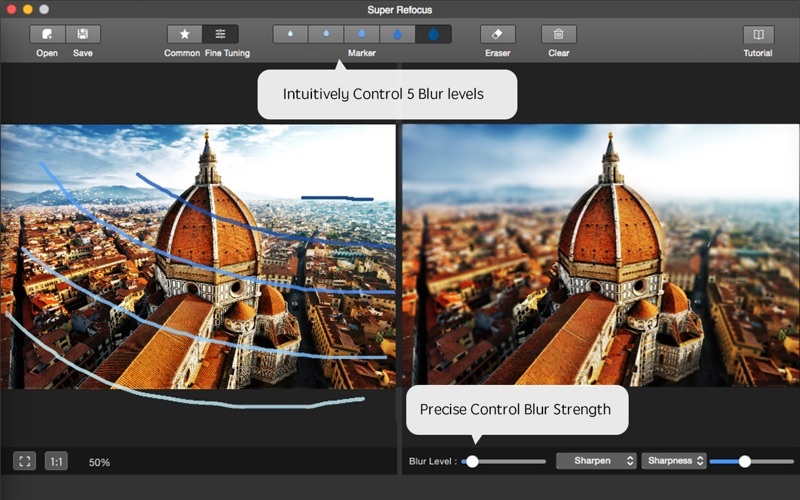 7 Intuitively control 5 blur levels and precise adjust blur strength. 8 Clear the target prospects with an advanced sharpen algorithm to achieve professional refocusing effect. 9 Live previews and real-time editing. 10 Undo, redo history can be saved so you can always undo, redo your changes with unlimited times.